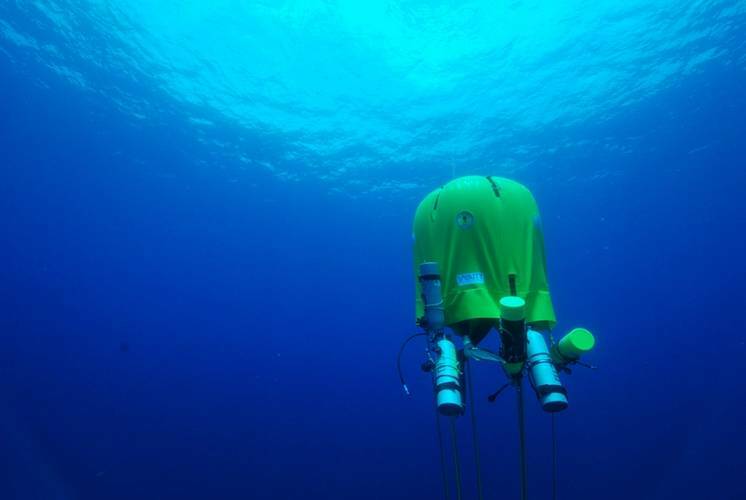 For decades now, ocean explorers have been in search of ways to stay under water for longer intervals. Restricted by tank size and human physiology under pressure, SCUBA divers must periodically come up for air, sometimes within just minutes of hitting the bottom. Introducing the new Ocean Space Habitat, designed and recently patented by National Geographic explorer Michael Lombardi and Winslow Burleson, an associate professor at New York University. This ocean “base camp” is a portable life-support system for divers who wish to go deeper and stay longer than conventional SCUBA allows. SCUBA units have been used for a while now to provide with an enjoyable diving experience. However, their usage comes with several constraints, specially during deeper dives. Deeper dives mean shorter amounts of time on the sea floor since the human air consumption increases with depth. And surfacing safely requires a lengthy wait at various depths to acclimate to the changing pressure. Apart from that, an improper ascent too can cause decompression sickness or “the bends,” when gas bubbles build up in the blood and tissues. Lombardi and Burleson’s habitat aims to solve these problems, among many others. The habitat is a breathing room, sheltered from cold and predators—for decompression and emergencies. This inflatable “tent,” can allow several divers to swim up into the dry chamber, remove gear, talk, eat, process samples, and even sleep through the decompression process. Another obvious advantage is air conservation, especially for a photographer going after wild fleeting targets in the sea. With the patent stamp still fresh, Burleson and Lombardi are seeking partners for new expeditions. The invention seems to be ready to cause a revolution in the field of ocean research and science. Interested in knowing about more recent discoveries? Click Here. How do you maintain the atmosphere in the “tent”?